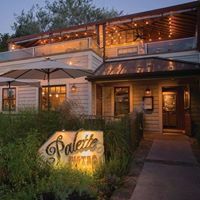 Palette Bistro is a Petoskey restaurant featuring Little Traverse Bay views, with casual upscale dining, outdoor seating and evolving seasonal menu. Wine bar, weekend brunch and popular happy hour. Menu here. Facebook page here.